Our garages are often overlooked for the benefits they bring. From the protection of vehicles and belongings to extra storage space, there are plenty of benefits to garages. However, as great as our garages are, when they malfunction, they can be an extreme inconvenience. Fixing a broken or unresponsive garage door can be a challenge if you do not possess the proper knowledge and tools. That’s why when your garage door or garage door opener malfunctions, it is important to call in a professional garage door company nearby to get your door running properly. There are plenty of garage door businesses out there, but when you are in need of maintenance, replacement, or garage door repair in Greenwood, don’t waste your time and money on inexperienced garage door contractors. Instead, call the local garage door company that everyone knows and trusts: Garage Door Doctor. Our team has been providing friendly and professional garage door services throughout Indiana for quite a while now. We have worked on just about every make and model of openers and garage doors, so you can assure we can quickly fix your problem. 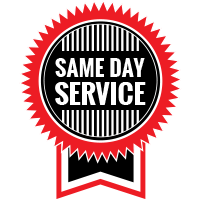 Compared to other companies, we differentiate ourselves by offering same-day garage door services and appointments, as well as emergency garage door services. Our wide range of residential and commercial garage door services has helped us becoming one of the best garage door companies in Greenwood. Our garage door company provides professional and friendly garage door services in various cities and towns throughout Indiana. Our growth as a company has enabled us to offer our reliable and affordable garage door services in Greenwood. That said, whenever your garage door malfunctions or is in need of annual garage door maintenance, you can rely on our trained technicians to provide you with the best solution through our range of services. It is estimated that 63 percent of houses have garages. Eventually, these garage door systems will break or malfunction, causing homeowners an extreme inconvenience. When your garage door stops working, you can count on Garage Door Doctor for installation, repair, or garage door maintenance in Greenwood. A garage door can make business operations run smoother. If you own a business and are searching for the best commercial garage doors in Greenwood, or need commercial garage door repair, our team has the experience and knowledge to help improve the functionality of your business. Plus, we carry a diverse selection of some of the best commercial garage doors and openers available! Routine garage door maintenance will help homeowners ensure that their garage door is working properly and that there are no areas of concern that may cause future repairs and expenses. There are a lot of factors that can lead to the need for the repair of your garage door and garage door opener. Nonetheless, if your door stops working, you can trust the team at Garage Door Doctor to quickly perform the necessary garage door repairs to get it opening and closing as intended. A garage door puts a lot of stress and pressure on the garage door springs, which can fail at any time. A spring with wear and tear needs to be replaced before further damage happens. Whether you need Greenwood garage door spring repair or replacement, you can count on our technicians to get your garage door working like new again! Whether you are building a new garage or are just replacing your worn and outdated garage door, you can count on Garage Door Doctor for reliable and affordable garage door installation. As part of our commitment to customer service, we only install quality products that will keep our customers satisfied. That’s why we sell some of the best residential and commercial garage doors around! A broken garage door can cause be an inconvenience, especially when there are urgent matters at hand. 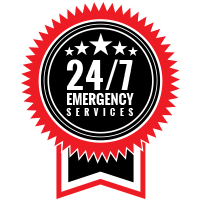 For this reason, we offer our customers 24-hour garage door services in Greenwood. Our staff is on call and ready to respond to urgent service calls! When it comes to residential and commercial garage door needs, Garage Door Doctor is ready to help. Our team is committed to providing the best local garage door services in Greenwood and the surrounding areas with professional, reliable, and affordable garage door services. To receive a free garage door estimate, contact our garage door technicians today!